Hello, everyone. My name is Koopa and welcome to another BlueStacks Streamer Academy video. Today we’re asking the $10 thousand question. 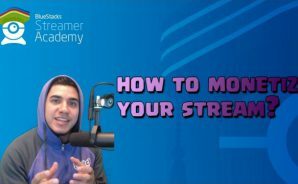 How do you get more subscribers on Twitch? Let’s be clear, this will not work for every channel. There’s going to be right things you can do, wrong things that you’ll encounter, so try new things. Be creative with the different approaches that you can do to get more subs. But let’s talk about the general things that we’ve seen work throughout Twitch, not just with my channel but with other people’s channels too. One of the first things I want to tell you that has worked for me is consistency. No one can argue with that. Just being a consistent streamer that has a consistent schedule that’s streaming for at least five days a week, six days a week, or seven days a week. Streaming at a set schedule and just making sure [inaudible 00:01:01] that transparency to where you’re actually streaming on a regular basis, that wins people over. That’s where you start getting people that … It’s like, you know what? They start believing in you, like, “You know, I want to subscribe to this guy. He’s always streaming at the right times. When I get off work, he’s always there, he’s always playing the games that I enjoy.” That’s going to be a big part of what can get sometimes to support your channel by subscribing. We’ll use Nicole Salera as an example. You can see at the top she has DISHANT27, one out of five subs. That’s her sub goal. Creating sub goals is a good way to create just like a goal for yourself and sometimes people will want to help you get to your goals, if they’re a usual person that will watch your streams. Sometimes it’s a nice feeling for someone to feel like they’re helping you accomplish your goals by subscribing. You can also notice, she has even a larger goal, where it says 386 out of 400. This is a big milestone for a partner, and so to reach those milestones like 400 or 500 to where it unlocks more emote slots and being transparent with the community to really show off what you’re trying to accomplish with your stream, how many subs you’re really trying to get. Because that might be, you know, that magical number that a person might need to really make this work a full-time. You’d be surprised what people would be willing to do to help you reach those goals, if it means that maybe they can get more streams, or doing fun rewards. With Nicole, she’s doing, at 400 subscribers she’ll be giving away a $20 Blizzard gift card and some t-shirts and also doing a cosplay stream. These are things that you can do. She also has a sub wheel. When someone subscribes she spins a wheel and then you get like a fun little perk depending on what the wheel spins on. And of course there’s tons of hype, not only from her but also within the chat, and then it’ll unlock more emotes. Be transparent about it. Talk about it. As long as you stay consistent and you’re streaming, you’re being genuine, you’re playing the games that your viewers do enjoy, you’re interacting with everyone, and you have a fun community that you are building up and you are putting in your greatest effort, I think you’re going to find success. And those goals that you are creating, you might just reach them and find yourself creating goals that even go a couple milestones harder. As long as you’re staying consistent with this on a longterm, you never know what you might be capable of reaching here on Twitch.tv. My name is Koopa. This has been another BlueStacks Streamer Academy video. We’ll see you in the next one.